The Heath Players is an amateur dramatic group, founded in 1948, which has always been based at East Malling Institute. Our first production was a play by Kenneth Horne, but we have performed a wide spectrum of drama over the years from Shakespeare and Chekov to Alan Frayne and David Tristram. 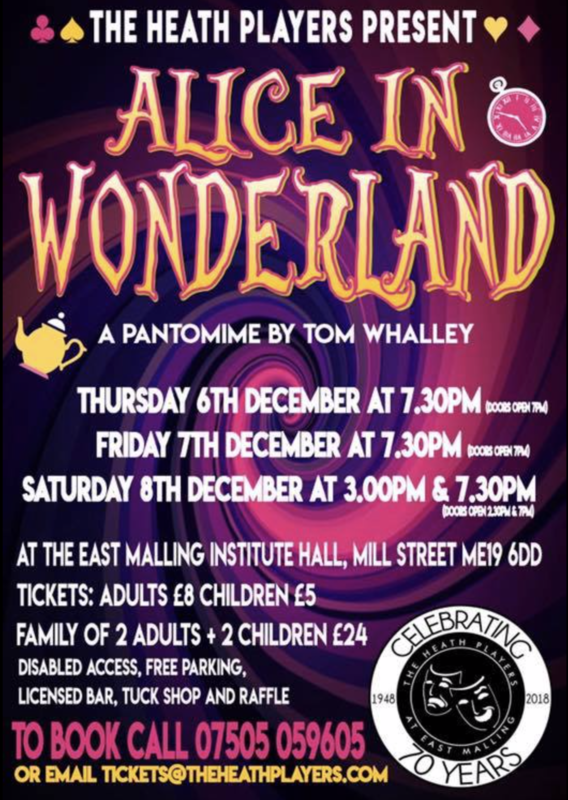 Over recent years we have usually staged two or three productions per annum, including our very popular pantomimes in early December. We always keep membership fees and ticket prices as low as possible, as we are not a profit-making organisation but simply aim to cover our running costs. We have also donated substantial sums to a variety of charities over the years as a result of raffles, funded by our members, at our performances. 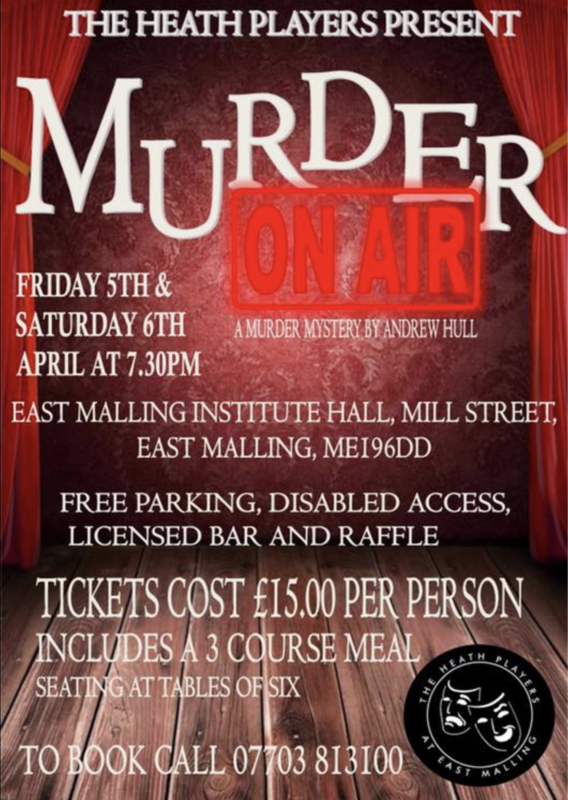 Our next performance is 'Murder On Air'. See the poster opposite for full details. For details of other recent performances and events, please see the foot of this page. We are always pleased to welcome new members to our group, not just to act, but to help backstage, front of house, catering and with the myriad other tasks which go towards putting on a show. Our age limits are from 8 – 108, but we do ask for junior members to be accompanied by a responsible adult. We normally meet every Friday evening from 7.30pm and further information about The Heath Players is available on our website, www.heathplayers.com, on Facebook or by ringing Lewis on 07703 813100 or Peter on 01622 717491.